Enlightenment Economics publishes the Perspectives series, short books with insight into big issues, with the London Publishing Partnership. 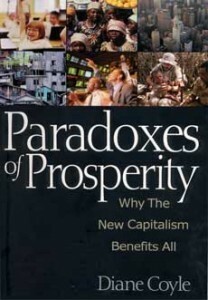 The series includes: The BRIC Road to Growth by Jim O’Neill, Reinventing London by Bridget Rosewell, Rediscovering Growth: After the Crisis by Andrew Sentance, Why Fight Poverty? by Julia Unwin, Identity is the New Money by Dave Birch, and Housing: What’s The Plan? by Kate Barker. Forthcoming Perspectives in 2016 include newly published titles by David Fell, Danny Dorling and forthcoming books by David Metz and Dave Birch. 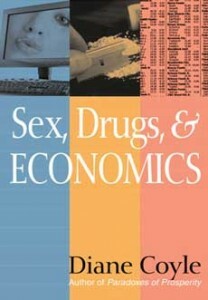 We also published What’s The Use of Economics? This collection of essays on the teaching of economics was published on 15th September 2012, the fourth anniversary of the Lehman Brothers bankruptcy. Available from Amazon (cover price is £14.99; Kindle edition also available). See also comments and reviews by Declan Jordan in the LSE Review of Books, Howard Davies at Project Syndicate; Larry Elliott of The Guardian; Rajiv Sethi of Barnard College. 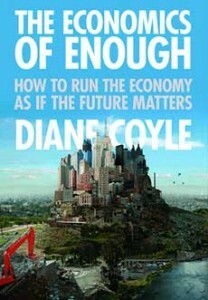 There is an essay (pdf) by Diane Coyle in Research Fortnight. Contributors are: Paul Anand, Wendy Carlin, Jagjit Chadha, David Colander, Diane Coyle, Roger Farmer, Benjamin Friedman, Edward Glaeser, Andrew Haldane, Dirk Helbing, Harold James, John Kay, Stephen King, Alan Kirman, Jonathan Leape, Andrew W. Lo, Michael McMahon, Paul Ormerod, Dave Ramsden, Bridget Rosewell, Paul Seabright, Steve Schifferes, John Sloman, Alison Wride. Click here for links to the chapters by Jonathan Leape, and Paul Anand and Jonathan Leape. A list of Diane's other main publications, talks and broadcasts is given below. She also contributes frequently to newspapers and magazines, and is a contributor to the FT's The Exchange blog. Is the crisis in the economy a crisis of economics? Keynote presentation, Frankfurt am Main, 23 January 2012. Verweisen wirtschaftlich Krisen auf Krisen in den Wirtschaftswissenschaften? in Zeitschrift für Wirtschaftspolitik, 61. Jahrgang 2012. pp103-117. 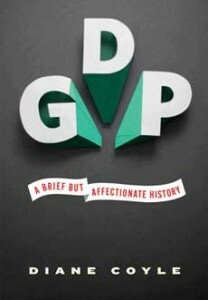 Economics is on the verge of a golden age, Chronicle of Higher Education, March 2010. Bailing out the banks: reconciling stability and competition, with Thorsten Beck et al, CEPR, February 2010. Public Value in Practice: Restoring the Ethos of Public Service, with Chris Woolard, BBC Trust, January 2010. Night Waves on Economics, BBC Radio 3, 23 October 2008. Wider Conditions for Innovation, Innovation Index Working Paper for National Endowment for Science, Technology and the Arts, September 2008. Boom, bang or bust? Twenty years of global, technological and financial innovation, published by Kroll, October 2007. How to Tackle Poverty: Economists are closing in on the answers, in World Economics, Vol 8, No.3, July-September 2007. Mobility: A Nation Under Siege, published by MTC Telecom, June 2007. Searching Questions, Analysis, BBC Radio Four, 27 July 2006. The China Challenge, Analysis, BBC Radio Four, 9 March 2006. The Trade Trap, Analysis, BBC Radio Four, 24 November 2005. The Economic Case for Immigration, in Economic Affairs, Vol 25, No. 1, pp53-55, March 2005. Is Sid Dead?, Analysis, BBC Radio Four, 17 April 2005. 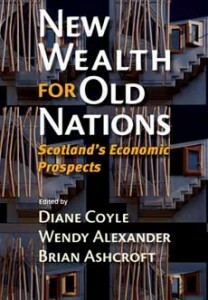 The Economy on the Couch, Analysis, BBC Radio Four, 2 December 2004. Some More Equal?, Analysis, BBC Radio Four, 22 September 2004. Our Economists Are No Longer Autistic, New Statesman, Big Ideas special issue, 26 July 2004. Sanctions: Persuasion or Punishment?, Analysis, BBC Radio Four, 22 July 2004. Organising for Success in Network Logic, Demos June 2004. Bending the Golden Rule?, Analysis, BBC Radio Four, 11 March 2004. Risky Business, Analysis, BBC Radio Four, 11 December 2003. 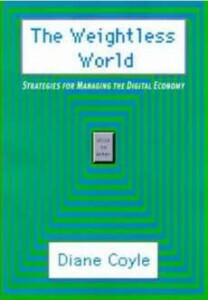 ‘Measuring The New Economy’ in ‘Making the Net Work: Sustainable Development in a Digital Society’ by Vidhya Alekson et al, Forum for the Future, December 2003. Corporate Governance, Public Governance and Global Governance: the common thread Seminar given at University of Manchester, 22 October 2003. The Rain in Spain, Analysis, BBC Radio Four, 31 July 2003. ‘Inequality, Public Perception and the Institutional Responses to Globalisation’ (with Francois Bourguignon) in Moneda y Credito, ‘La Globalizacion y los Nuevos Retos de la Politica Economica’, vol 216 2003, pp 211-251. University of Manchester, 30 May 2003. Part 2 of “How to think like an Economist” talk. The Consequences of Saying No An independent report into the economic consequences of the UK saying no to the euro, edited by David Begg, May 2003. A Silver Lining, Analysis, BBC Radio Four, 27 March 2003. Pride and Prejudice: What’s Good and Bad in Economics, in World Economics, January-March 2003, Vol.4, Number 1, 1-6. The Undeadly Sin, Analysis, BBC Radio Four, 28 November 2002. ‘The New Economy – Opportunity or Threat’ in ‘Enterprising Europe: A New Model for Global Business’ edited by Nick Isles, Spiro Press, November 2002. ‘The Implications of Structural Economic Change for European Policies’ in ‘Europe: Government and Money’ published by the The Federal Trust October 2002. Still Seeking the New Paradigm, presentation at the International Association of Official Statisticians Annual Conference, London, 27 August 2002. Look at the Progress Already made, The Guardian, Earth supplement, 24 August 2002. Follow the Leader, Analysis, BBC Radio Four, 15 August 2002. ‘Making Sense of Globalization: A Guide to the Economic Issues’ (with other authors) published by theCentre for Economic Policy Research July 2002. 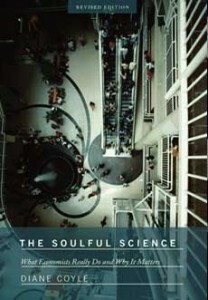 ‘Getting the Measure of the New Economy’ (with Danny Quah) published by the Work Foundation June 2002. Globalization and Us Notes for presentation for the Smith Institute at 11 Downing Street, 1 May 2002. The Future of Money, Analysis, BBC Radio Four, 18 April 2002. ‘The Political Economy of Globalization’ Presentation at Princeton University, 7 February 2002. House of Lords Enquiry on Globalization Submission to Economic Affairs committee, 9 January 2002. Globalising Gloom, Analysis, BBC Radio Four, 15 November 2001. ‘Making sense of published economic forecasts’, Chapter 4 in Understanding Economic Forecasts, ed DF Hendry and N Ericsson, MIT Press, 2001. Cogs and Monsters, Analysis, BBC Radio Four, 12 August 2001. Equality and the Modern Economy (with Amartya Sen), Smith Institute, 2001. How not to educate the information age workforce, Critical Quarterly, Volume 43, Number 1, Spring 2001. Unpredictability and Exclusion in the Weightless Economy, Social Inclusion: Possibilities and Tensions, edited by Peter Askonas and Angus Stewart, Macmillan August 2000. Where It’s At, Analysis, BBC Radio Four, November 2000. Governing the World Economy, Polity Press, September 2000. The New Economy World Tonight essay, BBC Radio Four 11/2/00. Does the New Economy Change Everything?,Prospect, February 2000. Hold the gloom, Town & Country Planning, January 2000. Technology and the Economy – the triumph of hope over experience? speech at Merrill Lynch/Imperial College conference, London, 10 November 1999. Winner Takes All Markets, Prospect, August/September 1998. Britain’s Urban Boom: the new economics of cities, June 1998, Comedia and Demos. Jobs in a Weightless World, May 1998, Employment Policy Institute, London. Guiding Global Markets, Prospect, January 1998. The Weightless Economy, Critical Quarterly, Volume 39, Number 4, Winter 1997. Britain and Emu: The Case for Joining, August 1997, Centre for European Reform.